We use custom manufactured cross-drilled and slotted rotors and pair them with upgraded drop in pads. The overall improvement over stock is ~20% better braking power with no brake fade. For any Ford F550 or F450 with added weight on the rear, braking can become an issue. The stock brake pedal feel can become spongy once the brakes heat up. This lack of responsiveness paired with a loss in braking power can be a dangerous combo. 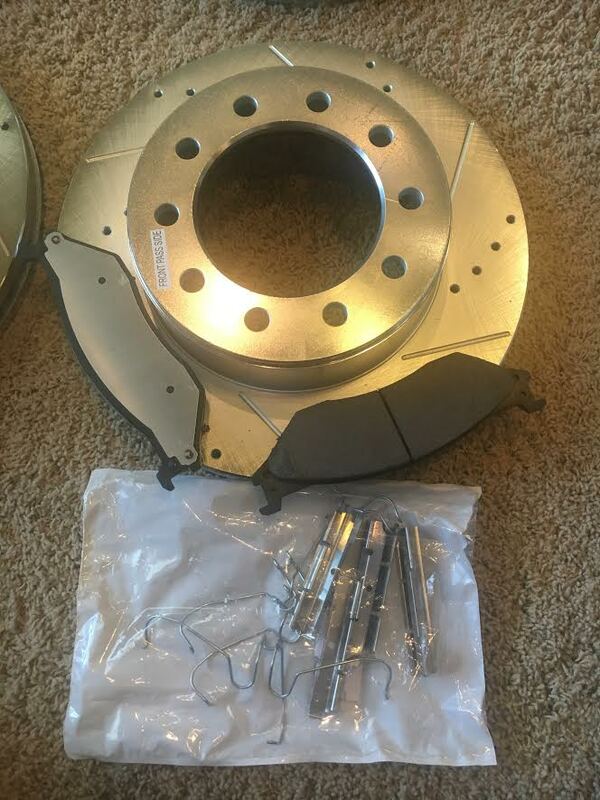 Our brake kit includes cross drilled and slotted rotors. This design is optimized for dissipating heat and is used in racing technology everywhere. They are much less likely to overheat because of the increased ventilation.